Dr. Aftab Ahmad is Chief Coordinator and former President of Sciforum Pakistan, and founder and President of Asia’s first National Young Academy, the National Academy of Young Scientists (NAYS). NAYS is connected to more than 50,000 young scientists of Pakistan and working on more than 15 programs to promote science and technology. He is also a member of the Global Young Academy (GYA) and a young scientist member of theWorld Economic Forum and World Science Forum. 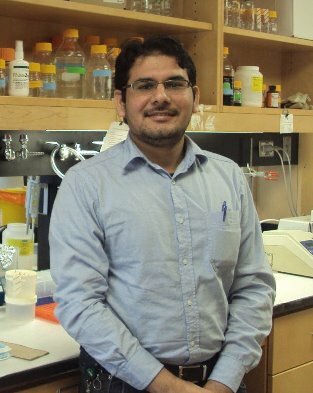 In addition, Aftab is also the Chairman of the Islamic World Young Scientists Academy, and founder of the Pakistan Stem Cell Society and Pakistan Aging Research Society. He has won many national and international awards. Aftab has published over 50 research articles and 4 books in local dialects as part of ongoing public educational campaigns. Aftab Ahmad completed his BSc (Hons) in Microbiology and Molecular Genetics with distinction from University of the Punjab, PhD in Cell and Molecular Biology from the same university. His postdoctoral research was in Tissue Engineering at the Nara Institute of Science and Technology in Japan.